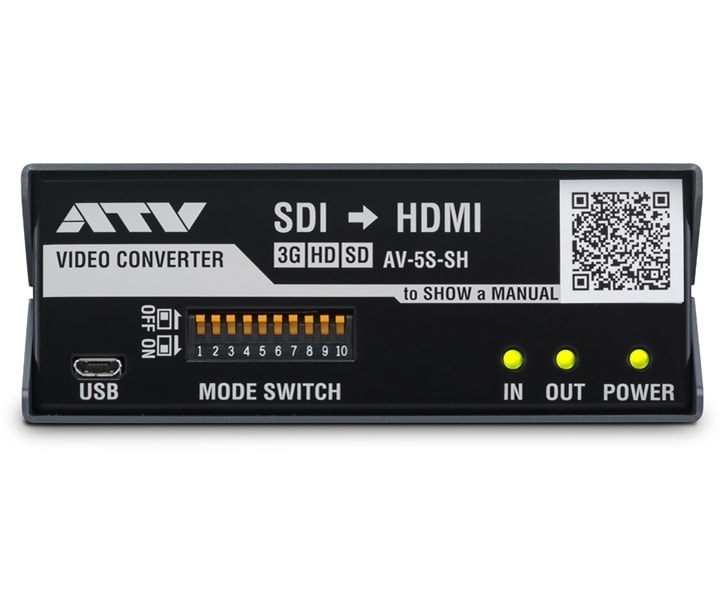 Converts SDI to HDMI. 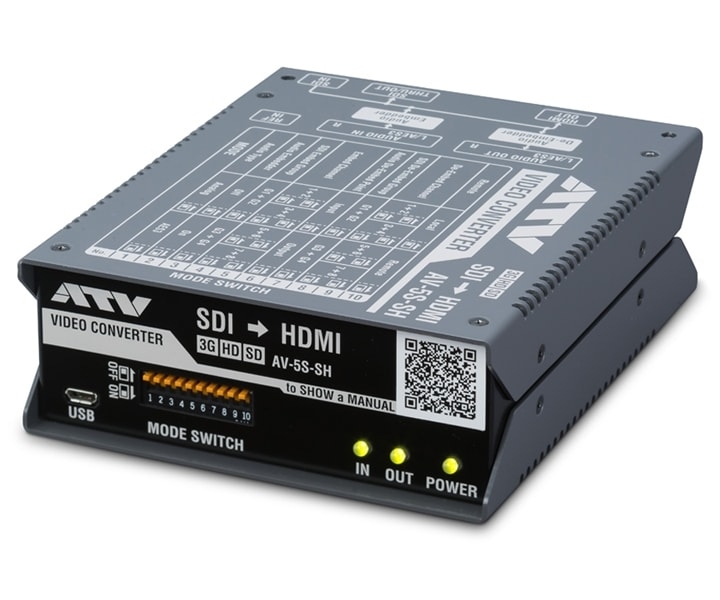 This converter can embed external sounds into HDMI, and extract audio embedded in SDI. 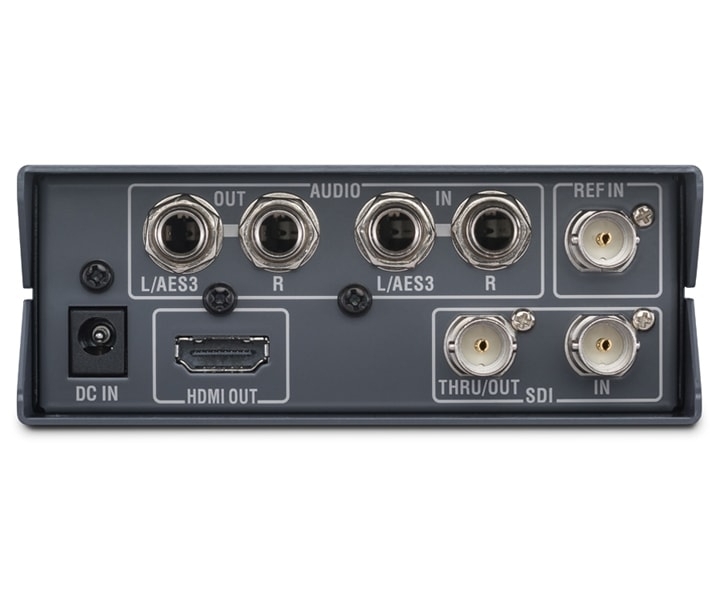 Has internal frame buffer, supports frame rate conversion and external synchronization. 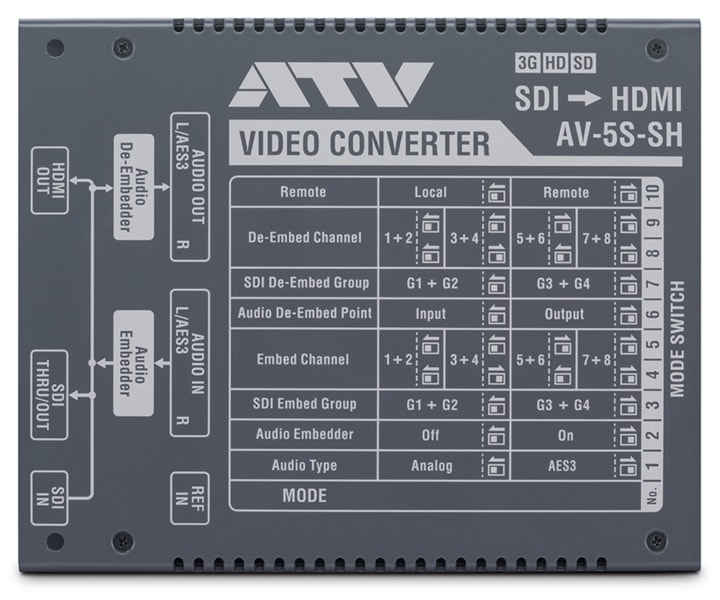 The AV-5S-SH also includes an SDI Level-A and Level-B conversion function.